Blacked-out trim and aggressive tires make this Moab look legit.Continue reading 2019 Jeep Wrangler Moab spied near FCA headquarters? 2019 Jeep Wrangler Moab spied near FCA headquarters? originally appeared on Autoblog on Tue, 31 Jul 2018 13:51:00 EDT. Please see our terms for use of feeds. 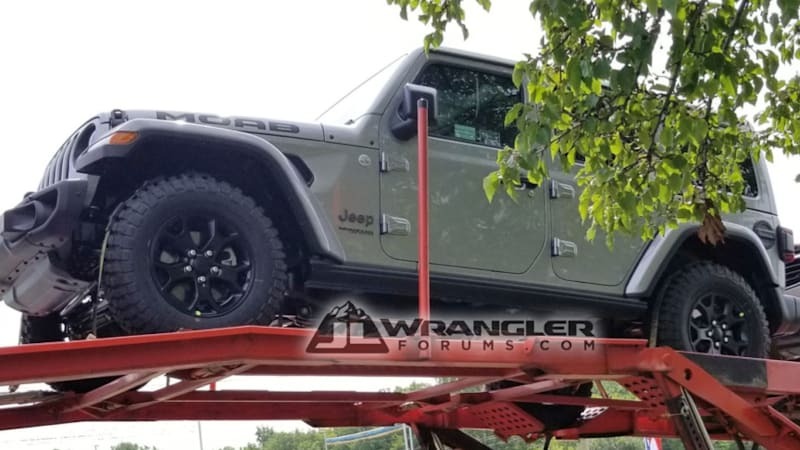 Quick Reply: 2019 Jeep Wrangler Moab spied near FCA headquarters?